Throughout my life, I have sought to balance the stress of life with a few minutes of quiet time. A recent week full of events, work and personal commitments caused me to take a closer look at the value of quiet time. Think & Reflect Quiet time allows me to think about my life, activities, issues and opportunities and attach or remove meaning from them. When one project ends, what did I learn and how did I benefit from the project; how will I utilize those lessons in the future? When I get angry at someone or something, my quiet time allows me to re-think my role in the anger and the effect of the anger on my life. Guidance It is during my still quiet moments that I seek guidance for my life; where I listen for messages, contemplate issues and prepare for action. Once I perceive guidance, I feel more comfortable about my plans and activities. Prioritizing There are so many ways we can spend our time, money and resources, how do we choose what to do and when to do it? My quiet time allows me to think about priorities and make adjustments. After all, you can get more money, but you cannot get more time. 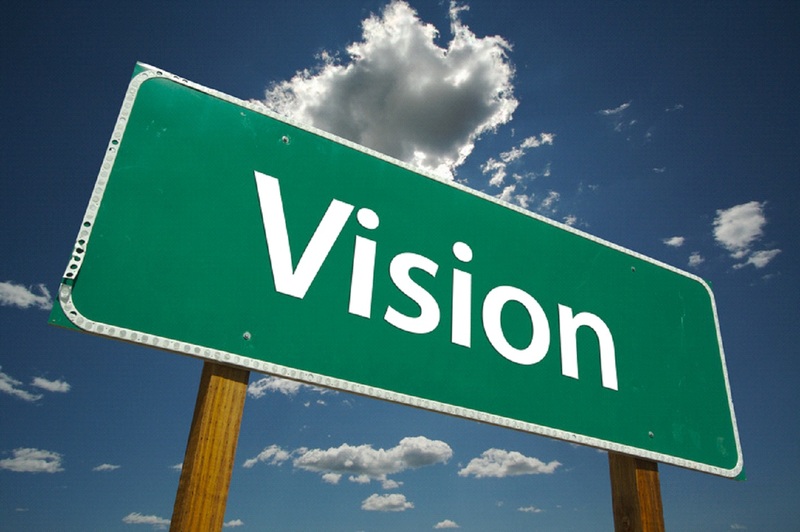 Feed the Vision It is in our quiet time in which we get to imagine our future as we desire it to be. In Think and Grow Rich, Napoleon Hill writes of the power of our desire and determination and how we can have whatever we want in life, if we simply use our minds. Thanks for the additional resource. Whenever I facilitate a group or meeting, I keep my eye out for the introverts. They always have something good to say, just from they way they listen to others and process information. They reflect. I appreciated your recent newsletter. 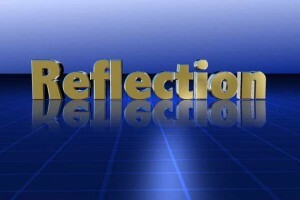 As a strategic coach with The Growth Coach, I share your belief in the value of self reflection, thinking and planning. So, I thank you for your message, from a like-minded individual. What really drew me in, was the image of Think and Grow Rich, and the quote you shared. Coincidently, my copy of the book is on my desk, since I am in chapter 14 of my re-read. J.R. I hope all is well with you! This is an excellent post! I’m journaling some similar thoughts about following ones dreams! If you are a believer, the Bible tells us that we are to “be still”. Being still however does not mean that we are idle but rather we reflect and take time in quietness to be grateful and nurture our lives! Good stuff! Take care! Truly some words of wisdom you shared in this blog! It seems that many of us don’t realize the value of quiet time until we find ourselves lacking it, and desperate to get some of that precious time alone. It’s very much like Stephen Covey talks about in his habit of “sharpening the saw.” It’s also found in the true definition of “recreation.” It’s about RE-creating ourselves. It’s about finding out what’s missing, filling that particular bucket, making sure we’re on the path that still works for us, finding touchstones that remind us what we’re about, and just taking a much-needed deep breath. After 11 years of having a “commute” that took me all of 100 feet (my office was in the same building as my home, when I was a full-time, live-in dorm mom), I am back at a job that requires me to get in the car and drive 6 miles each way (not much, compared to what a lot of people drive in big cities, but much more than I was used to!). At first I was not looking forward to that commute. Now, I find I treasure those minutes. I can be alone with my thoughts, or alone with my music. I can drive in silence or in song. Either way, it’s a helpful boundary to make a break between work and home–which I didn’t have for a LONG time. It was draining not to have those boundaries. Even when you’re around people you love and enjoy, when you’re around them ALL THE TIME, it starts to feel like you forget who you are. You also find yourself playing so many roles (mom, sister, wife, employee, manager, etc. ), and you don’t get to just be me (Becky, in this case!). This also brings to mind the MBTI, and the fact that I’m about 50/50 on the E/I split. I’m an extrovert wanting to have a bunch of people over to play board games, then a couple of hours into that gathering, I’m looking forward to some time with just me and my favorite chair. You may have called it “quiet time,” but that doesn’t necessarily mean it has to be silent. My best quiet time can be in a variety of situations. I’ve found it in an hour-long massage with no talking and no music. I’ve found it in a long hot shower. I’ve found it alone in a cabin in Estes Park with a fireplace and a journal and my favorite reference books nearby (along with my favorite healthy snacks). I’ve found it on a morning walk with a certain iPod playlist. Regardless, I think you are absolutely correct about this! My major tip to people would be to do some experimenting on what their own personal “quiet time” looks like. One person’s quiet may be another’s torture! Wow, Thank you Becky for sharing your thoughts and comments.I especially like the massage idea.I must go and test this ASAP. 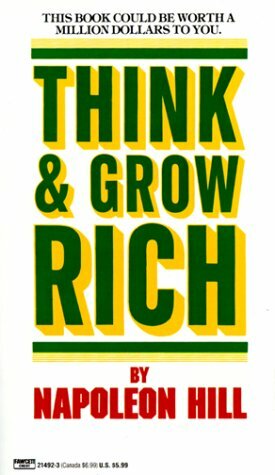 I am currently reading “Think and Grow Rich” and am glad it is being shared! Do you read a lot of personal development books? I’d say a majority of the sales people, many of the business leaders and only some of the rest of the world will read Personal Development Material. I started at age 18. When I was a E&J Gallo Winery, my regional manager did not think it was important. When I was in the financial services business, everyone was working on themselves. Now I’d say at least 60% of the people I interact with are consuming materials to develop themselves, such as: start-up minded people, sales and marketing types, some creatives and most business leaders. What else are you reading or have on your to read list? “How to Win Friends and Influence People”, “The Slight Edge” and “As A Man Thinketh” have all been bought! 18 is a great age to begin – what turned you onto personal development at such a young age? Have you seen the anthology of personal development call the “Prosperity Bible”? It is not a “Holy Bible” but a collection of works relating to prosperity including the ones you mentioned. What started me on the path of Personal Development was The Amway Corporation. I was introduced and join but only participated the summer before college then dropped out as college activities took priority in my life. Yet, the seeds of investing ones self through reading and audio programs were planted and continued to grow. The I heard Zig Ziglar speak during my 2nd year out of college and my path to learning and improvement was set. How do I mediate? Or have quiet? Where? Why? My favorite place is in my backyard rose garden. When I’m contemplating or letting the muse wander, I’ll often choose the hammock, to stare up through the leaves to the sky and its cloud formations and hues of blue to gray. When I pause for silence to go inside, I’ll sit a bit more erect, perhaps visually focusing on one of the rose blossoms and breathe in and out, slow and measured, relaxing from my toes to my eyebrows. In both experiences, I tap into that Higher Source of inspiration, wisdom and serenity. The results? A quieter path through the day no matter what is in store. Ideas for writing often emerge, take shape and form. Often, a strategy for how to write better, market better will peek through. And, friends and loved ones come to mind to say a prayer for, to be grateful for their presence in my life. On days that I may think “I don’t have time,” inevitably the day is more hectic, I’m tired, more creative “rocks” to stumble over rather than wander a cleared path. The truth is, I don’t have time to miss this opportunity to connect, spiritually, to the God I worship. Although it took me a few days to comment, I really appreciate your insight into quiet time. Thank you for sharing. JR, Claire and I enjoyed visiting with you at Shawn’s wedding. I also appreciated your newsletter this morning and in fact went ahead and ordered Napoleon Hill’s book for my Kindle to re-read it again. Yes, I do value my quiet time, and am enjoying it in my recliner in the family room this early Sunday Morning. My wife wants me to use the study, but I find sitting in my office chair doesn’t enable me to reflect the way you have suggested. Don’t know whether you get my weekly newsletter, Verne’s Weekly, but would be happy to share a copy, if you don’t. Let me know. This came at the right place at the right time. I so enjoyed this one and passed it on. Thanks. I meditate for 5 to 10 minutes daily, before starting my day. Just a few moments while still in bed, contemplating the sounds of the house waking up, the birds outside the windows, the cat curled up at my feet. But real quiet time comes in the middle of the day, when I retreat to my private roof deck, where I stare at the clouds, the trees, the lawn, and just let my thoughts drift wherever they want to go. Hey Karen, thank you for your additional comments. I’m finding more people who meditate. That rook top deck sounds great. I’ve been thinking about adding one to my house.